Aquaponic Gardening and Farming allows people to take charge of their food production not only for their own personal fulfillment but for the betterment of their communities and the environment. As owners of Colorado Aquaponics and The Aquaponic Source we offer a variety of workshops for beginners to advanced "aquapons". Tawnya and JD have been full time aquaponic farmers, educators and researchers since 2009. We now offer four different workshops from our introductory Basics class all the way up to our four day Flourish Farms - Aquaponics Business Course. 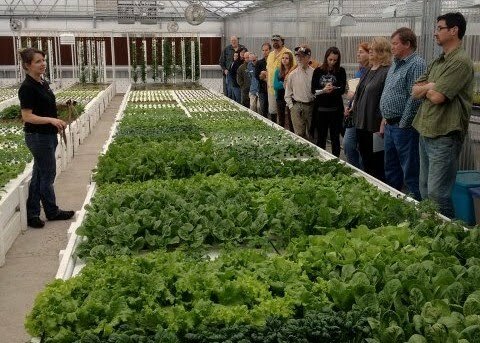 The course image links below will take you to our course pages located on The Aquaponic Source website where you can review all of the course details and register for class. Please click the image links above for course details and registration. Links will take you to the Aquaponic Source website.